I know someone out their will win if you try this cos I just can’t under estimate the power of what we can do. One of us won the contest of last year Dec but he didn’t know he won not until last week (after a month plus). 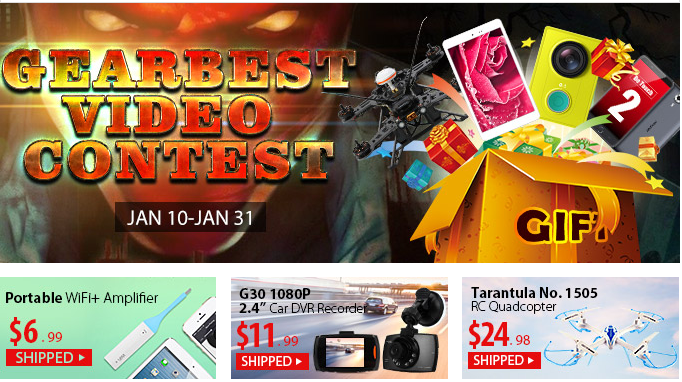 Gearbest is organizing a video contest for all those who has in one way or the other purchase a product from them. 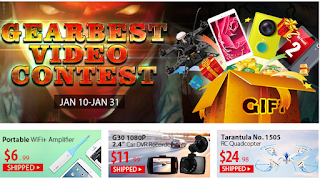 All you are require to do is to show them your unique moment with gearbest product by recording a video of your skillful operations, funny or happy & cool moments with your GearBest products. Upload your videos and show the world. Your videos will be open to votes with the highest number winning cool prizes! Upload and let the voting begins. My order is still hanging ooh.i dnt knw wat to do nw. @prof I've contacted them to redeem the prize but they said it is too late that everything has closed.